1. Safe and fun, innovate design, beautiful shape and excellent quality. 2. Riders can control the rise and fall of the rotary bee cabins independently. 3. 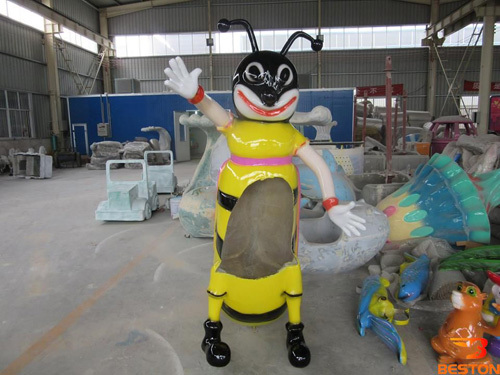 The rotary bee rides are also widely used in the park, square, playground, etc. 4. 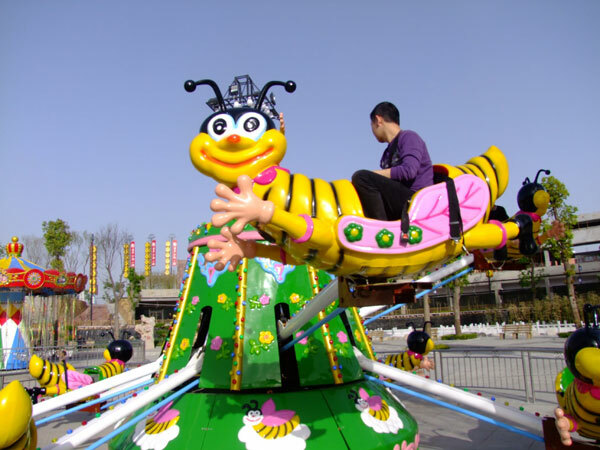 The ride is an attractive designed amusement equipment. 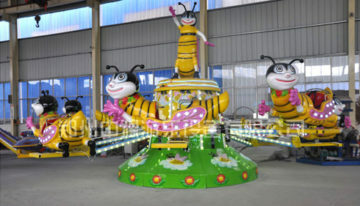 The rotary bee rides are a type of rotary type amusement rides and it belong to the kiddie rides. 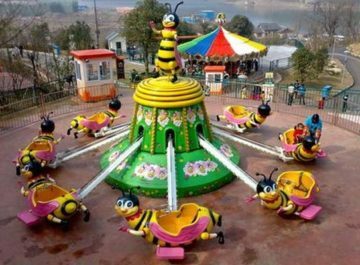 The rides are also known as the self control rotary bee rides and it is welcomed by the majority of children and adults. The cabins are in the shape of bees, which is very vivid and lovely. 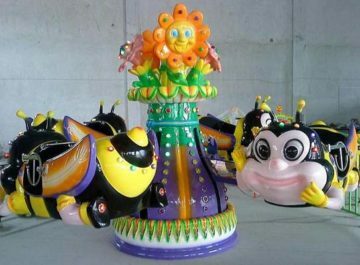 The rotary bee ride has unique structure and beautiful shape and is also equipped with the innovate LED light and the pleasant music. Riders on it can experience the vertigo and relaxed excitement as well as the thrilling rotating movements. 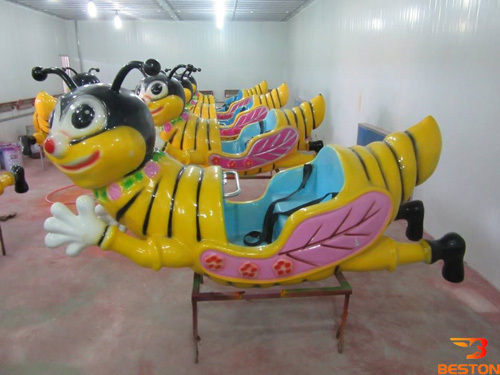 The rotary bee rides for sale, manufactured in Beston, are one of the most popular kid amusement equipment in China. 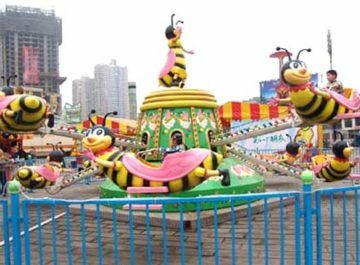 Beston amusement rotary bee rides for sale are safe and fun, innovative design, high quality and low maintenance, which is really prized by many our customers. 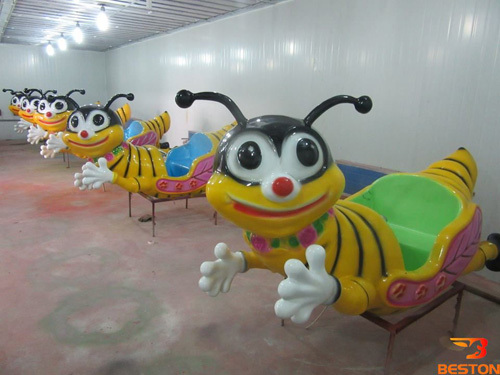 They develop a long term business relationship with us and purchase various quality amusement rides from Beston. Contact us immediately if you are interested in our products and then you can get a timely reply about what you want to know.